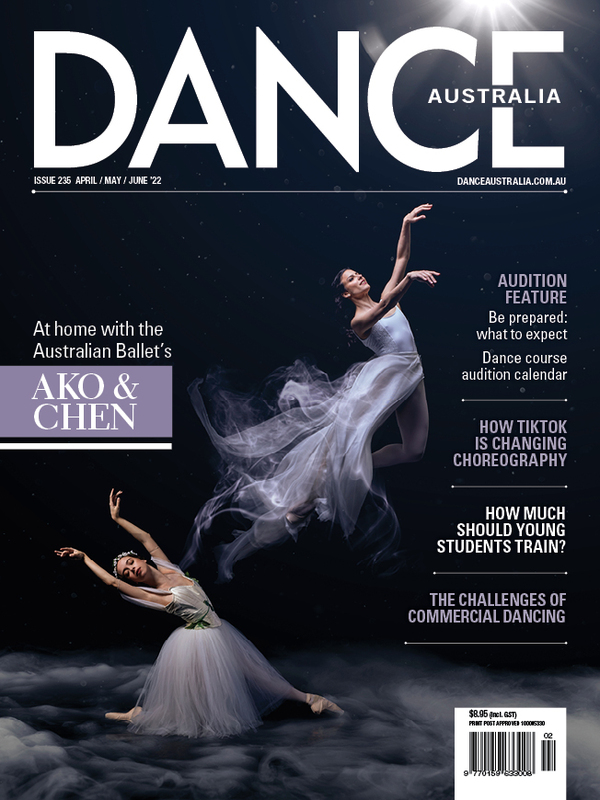 It has been five years since Queensland Ballet premiered Ben Stevenson’s Cinderella, and it was also Li Cunxin’s first main stage production as artistic director. Conceived nearly 50 years ago, the ballet has been performed in companies around the world, but today it’s as fresh as it must have ever been. It played to packed houses in 2013, and this season in the much larger Lyric Theatre also promises to sell out. Stevenson’s is a traditional take on the fairy tale, expressed neatly over three short acts, with choreography from the classical canon that allows the glorious Prokofiev score (played by Queensland Festival Philharmonic under Nigel Gaynor), to positively dazzle. The English conventions of pantomime help drive much of the narrative and inform the characterisation of the Ugly Sisters, who, en travesti, provide most of the comedic counterpoint to the romantic storyline. The magic is then woven through the ballet by the rich and detailed settings of Thomas Boyd, Tracy Grant Lord’s sparkling, ethereal costumes, and the entrancing lighting design of David Walters. The Ugly Sisters are roles usually best left to older, more seasoned artists, but Vito Bernasconi and Camilo Ramos nevertheless made the eyes water with laughter on more than one occasion. Bernasconi, very much a bloke in a dress, was the more overbearing and mean-spirited of the two sisters, while Ramos seemed to channel his feminine side in a shyer more needy interpretation. Joining them, company ballet mistress Janette Mulligan reprised her role of the callous Stepmother, in another wonderfully brittle and restrained interpretation that gave us all a lesson in timing and delivery. The comedic dynamic between these three and Dylan Lackey as the Father was also finely tuned and impeccably timed to the music for maximum impact. There are three principal casts for the season, and this performance saw Yanela Piñera and Joel Woellner as Cinderella and the Prince. Piñera has herself undergone a transformation since her arrival at QB in 2015. Now having a much softer, more lyrical quality, which camouflages her steely technique, she was convincing as the dreamy Cinderella. And Woellner made a charming prince. His impressive bearing, beautiful line, and crisp footwork make him a natural nobleman. Together their two luscious pas de deux, with their difficult off-centre balances and lifts, appeared effortless. Senior soloist Lisa Edwards was a shimmering Fairy Godmother - regal but serene. This is Edwards’s last season after a long career with the company, and it was lovely to see her in the opening night cast. The fairies of the seasons each sparkled in the woodland transformation scene of whirling leaves and snowflakes, as they conferred their blessings on Cinderella. Choreographically these variations perfectly evoked each of the seasons. Lina Kim was mercurial as the Spring Fairy, Mia Heathcote (Summer Fairy) languid and luscious, and Georgia Swan a crisp and icy Winter Fairy. Neneka Yoshida was most exceptional, however, in a powerful performance of the wild Autumn Fairy variation. She gets better every season. In fact the whole company is looking wonderful. The little corps work there is, in the glittering, chandeliered ball scene, has been expanded to incorporate more dancers, who performed with energy and vivacity. As the Court Jester, Liam Geck (another talent on the rise) was also technically adroit in an impish rather than rollicking interpretation of the role. Cinderella is a fairy tale without much dramatic substance. Its appeal lies in the promise of dreams coming true, and the triumph of goodness over malice, both enabled by a generous dose of magic. And it’s that magic that this beautifully crafted ballet captures - in spades.